Final version of the "S" series receivers. Features slide-rule tuning scale. The dial has two distinctive CD (Civil Defense) markers on the scale. The manual tells the user to use these to listen to "official civil defense news, instructions and information". 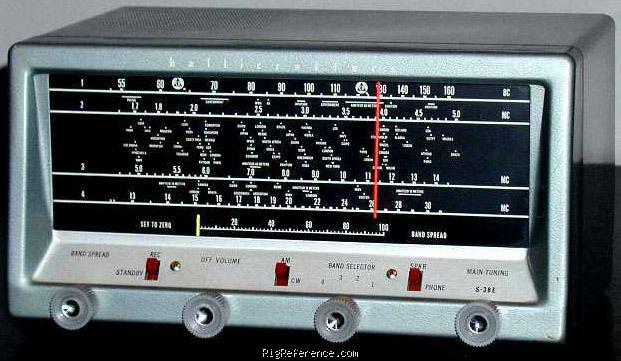 Remember, this radio was built in the heydays of the cold war. Estimating the value of a rig can be challenging. We collect prices paid by real hams over the years to help you estimate the current value of the Hallicrafters S-38E. Just bought or sold this model? Let us know what you traded it for and help other ham operators!